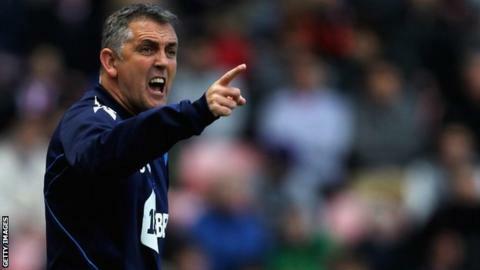 As the days ticked down to Bolton's FA Cup semi-final against Stoke at Wembley on 17 April 2011 many saw the game as proof of the superb job Owen Coyle had done since taking charge of Wanderers 15 months earlier. The Scot had taken the Lancashire club from the lower reaches of the Premier League to the cusp of their first FA Cup final since 1958. He had united a club that appeared to be at odds with itself under the management of Gary Megson, and had done so while introducing a more pleasing style of play. And even though the day out in the Wembley sun proved to be a disaster as Bolton were thrashed 5-0, the result hardly set alarm bells ringing. A week later Wanderers defeated Arsenal at the Reebok, with Tamir Cohen snatching a last-minute winner to effectively end the Gunners' title challenge and leave Bolton sitting a handsome eighth in the Premier League table. But there the good times came to a shuddering halt. Bolton lost their final five games of the 2010-11 campaign, slipping to 14th in the table. Even so, the season was judged a broad success and there was little hint of what was to follow. Wanderers were an established top-flight side and had been there since defeating Preston in the second-tier play-off final in 2001. Over the previous decade they had played in European competition and signed a host of famous players such as Jay-Jay Okocha, Fernando Hierro and Youri Djorkaeff, drawing final good years out of ageing legs. Coyle had been in charge since he walked out of Burnley in January 2010. His stock might have suffered irreparable damage in Burnley, who were relegated at the end of the season he left them for the club where he once played as a wiry and energetic striker, but after his first full season at Bolton he was being linked with some of British football's top jobs. He was trusted by top clubs like Arsenal and Chelsea to help develop their young talent, with Jack Wilshere and Daniel Sturridge both joining on loan. The Scot is upbeat and ultra-positive and had taken the Clarets into the Premier League for the first time. Andrew Cole, once of England and Manchester United, played under Coyle at Burnley and said: "His enthusiasm made me feel like I was 21 again." I once got a text off Coyle that featured a smiley face. He is an easy man to like. Every time I have interviewed him he has talked warmly about his players and is so focused on the game he loves that he regards a game of golf as a missed chance to watch several football matches. But the 2011-12 season must have chipped away at his upbeat resolve. The outlook appeared sunny when his team thrashed top-flight new boys QPR 4-0 at Loftus Road on the opening day of the season, but Wanderers then lost their next six Premier League games and did not finally win until mid-October. A 5-0 win over Stoke in November and a morale-boosting victory at rivals Blackburn that lifted Wanderers off the bottom at Christmas hinted at better times and in January Bolton climbed out of the bottom three. Form remained patchy, with just one win in seven going into the final day. Even so, Coyle's team could still survive and, with QPR losing in dramatic circumstances at Manchester City, a win would have kept them up. However, a 2-2 draw at Stoke - yes, them again - saw Bolton relegated. The fact that Stoke equalised through a somewhat questionable penalty after Peter Crouch appeared to go down rather easily summed up a miserable campaign for Coyle and his side. Most distressing of all was Fabrice Muamba's collapse at Tottenham in March, which was the start of an extremely difficult period for everyone at Bolton, one which Coyle handled with great dignity but which cannot have made his task easier. Bolton suffered some bad luck with injuries, notably influential midfielder Stuart Holden who missed the entire league season as he recovered from a serious knee injury, as did South Korea winger Lee Chung-yong. Summer signing Tyrone Mears broke his leg in pre-season. It was enough to dent Coyle's cheery outlook, with the boss lamenting that "you could not make up" the season his team had. Chairman Phil Gartside immediately pointed to the lengthy injury list when discussing the relegation and said that his young manager, 45 at the time, would emerge stronger for his experience. That did not materialise and Gartside has now reluctantly decided it is time for a change at Wanderers, noting "Owen poured his heart and soul into the club." Bolton are 18th in the Championship table, with three wins from 10 games. It is far from the start that Gartside or anyone else at the club envisaged. Coyle's team have managed just 13 goals in that time, while conceding 16. Coyle remained upbeat if increasingly exasperated throughout, insisting performance level was improving and results would come. But that task will now fall to someone else and it seems that the high-water mark of Coyle's tenure as Wanderers boss was taking them to an FA Cup semi-final. Coyle once told me that what he loves about football is all the twists and turns involved. But this latest twist is one he could probably do without.